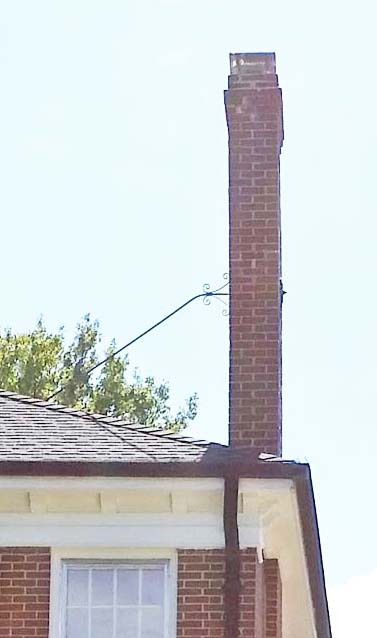 How Tall Should the Chimney Be? Code requires that a chimney be three feet above the roof where it exits and two feet higher than any part of the roof within ten feet. Rumfords draw at least as well as any other naturally drafting appliance so there are no special rules for Rumfords. Obviously, taller is better because a taller chimney provides a greater accumulated pressure differential due to the taller column of warm air inside the flue, each cubic foot of which is lighter than a cubic foot of cooler ambient air. Add them up. A 20 foot tall chimney draws twice as well as a ten foot tall chimney. That implies that what we're really talking about is a pressure differential, or, in other words, relative differences in pressure which can be affected by many factors. For example, a tall chimney, if it's not as tall as the tallest part of the house, may have trouble competing with the house - a leak or an open skylight in the tall part of the house may make the house draw better than the chimney and may induce a downdraft in the chimney. Sometimes you can compensate for a short chimney by overcompensating with make-up air. Blow enough outside air in the house to positively pressurize the house. A related problem is that many new homes are very tightly constructed with inadequate provision for ventilation make-up air. 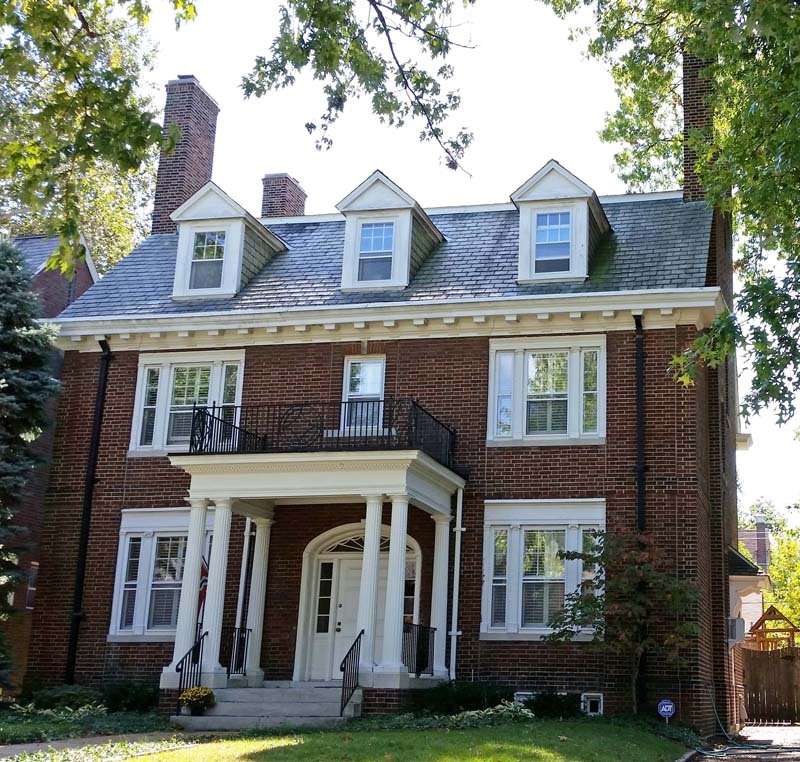 A home with radiant heat, a large commercial kitchen fan, a couple of bath fans and a fireplace may be so de-pressurized that none of the appliances work very well. 2) Build the chimney taller than the tallest part of the house. 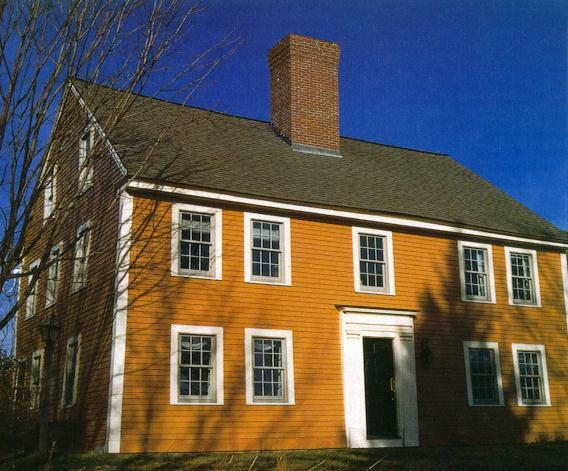 Even if the chimney is on a one story section of the house and meets code in that it is ten feet away from the tallest part of the house, build the chimmney taller than the tallest part of the roof. Brace the chimney if necessary. Bottom line, the height of the chimney is only one factor. A tall chimney can overcome or draw even in a fairly de-pressurized house while a short chimney may be made to draw by pressurizing the house. I'm trying to find out if there are rules of thumb for how high a chimney needs to be to provide adequate draw for a Rumford fireplace. I am working on a single story building that has quite low roofs, and a couple fireplaces with 3x3 firebox openings. I would appreciate your thoughts if you have a moment. See also examples of smoky fireplaces because the chimney was too short. WHAT IS THE MAXIMUM PRACTICAL CHIMNEY HEIGHT? BUILDING INSPECTOR HAS ORDERED RECENTLY BUILT CHIMNEYS ON A NEW HOUSE TO BE LOWERED EVEN THOUGH THE APPROVED PLAN WAS FOLLOWED. There is no maximum chimney height mentioned in the ICC codes or in the referenced ASTM C1283 standard. I am a member of the ASTM C4 committee which developed ASTM C 1283 and I remember that we discussed the issue of limiting chimney height but none of the engineers on the committee thought it was necessary since residential chimneys are rarely over fifty feet tall and they are supported at every floor and roof line - well within engineering standards - and taller chimneys are usually part of commercial buildings which are designed by engineers. You might dig farther and get some ideas from the engineering design of tall masonry walls, pilasters or columns. The rule developed by the Masonry Standards Joint Committee (MSJC) for exterior walls limits the height to an h/t (height to thickness) of 20 for solid or fully grouted bearing walls, and an h/t of 18 for all other exterior walls (non-loading bearing walls or bearing walls not solid or fully grouted). In other words a 12" thick wall could be 18' or 20' tall. The MSJC doesn't discuss chimneys but, by the same rule, a chimney 30" thick could be fifty feet tall. In an article, "Designing Tall Masonry Walls" David Biggs, PE, argues that, using Allowable Stress Design (ASD) you could design pilasters (which look a lot like chimneys) to build walls up to 62 feet tall in one of his examples. So what code, or design principle is your building inspector using to require you to limit the chimney height? How tall is the chimney and how wide and deep is it? Maybe, even if the building official doesn't have a case, you could agree to add some reinforcing in the corners, as is required in seismic areas, as an added face-saving precaution that it will stand up. My answer is admittedly off the top since the issue has never come up (except at the ASTM C4 committee) and I know of no limit to the height of residential chimneys. Let me know what your building official says and why he's concerned and I will be glad to run the question by an engineer or two.